Most of PowerShell’s commands can be fine-tuned with -parameters, otherwise known as switches. My aim of this page is to encourage you keep a notebook of such useful PowerShell parameters. Now when you add the -Recurse parameter, the command takes longer to execute, but it's well worth the time to drill down the directory tree, and find the file that you are seeking in a sub-directory. If you play strategic games like chess, you may be familiar with the idea of once you have found a good move, then look for an even better tactic. So it is with PowerShell, if you find a good command such as Get-Eventlog system, look for parameter to refine the output, for example: Get-Eventlog system -newest 20. I recommend that you spend time studying the PARAMETERS section of any cmdlet that you are working with, you are sure to unearth one unexpected gem. Modification to display just cmdlets with a particular PowerShell parameter. Note 1: Observe the backtick `. Also there should be no space after that `. This Engineer’s Toolset v10 provides a comprehensive console of 50 utilities for troubleshooting computer problems. 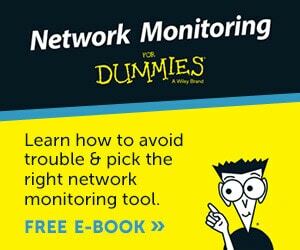 Guy says it helps me monitor what’s occurring on the network, and each tool teaches me more about how the underlying system operates. There are so many good gadgets; it’s like having free rein of a sweetshop. Thankfully the utilities are displayed logically: monitoring, network discovery, diagnostic, and Cisco tools. Try the SolarWinds Engineer’s Toolset now! Note 2: The pattern I was looking for was ‘As‘. Naturally, to research your parameters just substitute the text string you are interested in. Position: 1 or 2 etc. One source of confusion is that the same PowerShell parameter seems to have two or more forms, for example: -ComputerName -computer or even -comp. 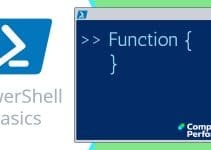 The explanation is that PowerShell’s intelligence means that you only have to use sufficient letters to provide a unique combination that cannot be mistaken for any other parameter. The actual parameters are -ForegroundColor and -BackGroundColor, but as you can see, we can shorten them right down to -f and -b. To improve the formatting of your parameters I recommend PowerShell splatting. Encouraging computers to sleep when they’re not in use is a great idea – until you are away from your desk and need a file on that remote sleeping machine! WOL also has business uses for example, rousing machines so that they can have update patches applied. My real reason for recommending you download this free tool is because it’s so much fun sending those ‘Magic Packets’. Give WOL a try – it’s free. The technique is to add the parameter directly after the main command. Remember to introduced your parameter with a -minus sign, and not a backslash. If you apply the terminology strictly, then the difference between a parameter and a switch is that a switch does not take a value, whereas a parameter can. Although we are straying further from my original idea of switches to modify a command, I should mention the logical operators as they too are introduced by a -dash. There are also bitwise variants -bor -band. This is not an exhaustive list, there are exotic operators such as an exclusive or called -xor. We can modify the behaviour of PowerShell cmdlets by appending parameters. In this way you can take a cmdlet’s basic action and turn it to the outcome that you really want. This is why spending time learning about parameters makes us better PowerShell scripters. Understanding PowerShell’s parameters will improve your scripts. Firstly, you get extra capabilities, for example -Recurse, secondly you greater precision, for example -MemberType. In conclusion, never miss a chance to research a Parameter or a Switch, if you find a really good example, email me and I will add it to Guy’s top 10 Switches.